Brisbane is home to a wealth of laneways brimming with unique boutiques and one-of-a-kind finds. When it comes to Fortitude Valley, Winn Lane is up there as one of the best. Tucked away in a side street, yet bustling with activity every weekend, this hidden gem offers a vibrant assortment of boutiques, book shops, cafes and more. Better still, all of these haunts are within an arm’s length, meaning you can eat, shop and play in one convenient location! Here are a few reasons why you need to visit Winn Lane this weekend. Take a break from shopping and check out The Culprit Club, a fun-sized gallery and retail store. The Culprit Club doubles as an art gallery, showcasing works from the resident artists, which are available for purchase. The dominant theme is graffiti art, oozing street cred and urban style. Want to look as cool as the artworks? Pick up some street wear, and hey – what about a magazine or two to take some art inspiration with you? Tym Guitars is a one-of-a-kind independent retailer with a diverse range of products and services. If you’re after equipment for music-making, you’ll be blown away by the range of guitars, from vintage new, with prices to suit all budgets, as well as amps and effects pedals. Guitar repair, restoration, refinishing and setup work is available on-site, as well as pick-up rewinds, and amp and pedal repairs. Tym Guitars also caters for music lovers, stocking a range of vinyl records, band merchandise and collectables, with more arriving all the time. 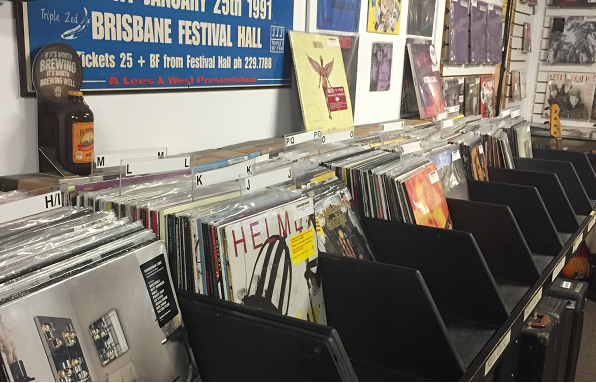 The store is also home to Australia’s biggest selection of vintage hire gear – how neat is that? After a hectic day of shopping, it will be time to treat yo’self … and what better way to do so than to chow down on a moreish burger! Ben’s Burgers are loved for their refined take on the traditional American burger and flavours with premium ingredients, with all your classic burger favourites available for a satisfying lunch or dinner. For a killer take on the humble beef burger, go for the classic, made of beef, cheese, pickles, lettuce, tomato, onion, ketchup, mustard and mayo. Who said you can’t have more than one sauce at a time? To end your visit on a sweet note, stay a while and top-off your feed with a slice of decadent pecan pie. Overflowing with creativity and one-of-a-kind finds and unique boutiques, Winn Lane is the stuff dreams are made of, so add it to your must-do list.